Through the 1800s and early 1900s, popcorn was one of the most popular snack foods. It was often featured at fairs, circuses, and by street vendors across the US. And with the advent of movies (silent films and then the "talkies"), the concession stands from those street vendors started popping up at the theatres because vendors would follow the crowds. This is why we think of popcorn at the movies still, today! But popped corn is nearly as old as corn itself. The oldest ears of popped corn—5,600 years old—were discovered in the Bat Cave of central New Mexico. Popcorn and Bruce Wayne, anyone? 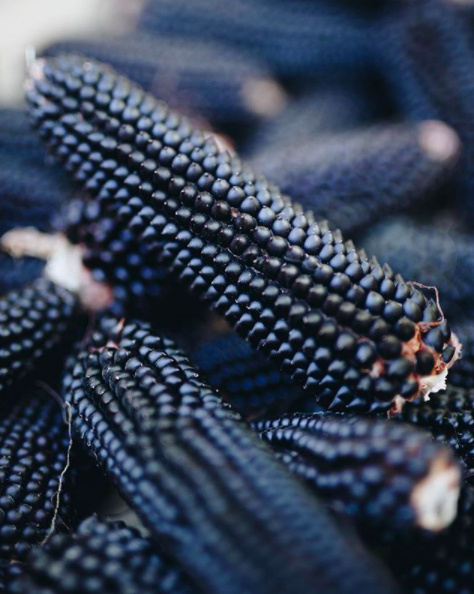 PS this beautiful heirloom popcorn is called Dakota Black grown by our friends Polly and Jim Leap at School Road Farm!